8 Critical Steps In Setting Price. 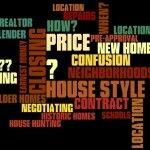 Selling A Houston Heights Home? 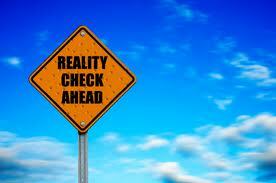 Use Reality In Pricing. 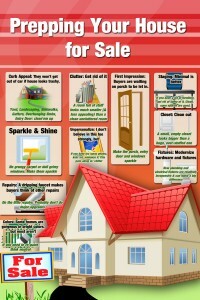 This article is one of a series on Selling Your Home. Pricing the house properly is just one step in the process, but a very important one. So, eliminate the emotional variables and just stick to comparable properties. How to do this is explained. Setting the sales prices is tough for an owner. Even Realtors and appraisers have problems on some properties. The owner has the additional handicap of not having access to data on “sold” properties. Maybe the owner doesn’t know how prices compare in different parts of the Heights. The biggest hurdle of course, is getting past the emotional baggage of selling a house you put so much of your life into. How Not To Price It! • DON’T base your price on what the neighbor is “asking”. Your neighbor can ask whatever she wants, but it doesn’t mean it will sell for that. • Don’t go by what you “heard” a house sold for either. Use facts, not hearsay. So, How To Price Your Heights Area Home ?? 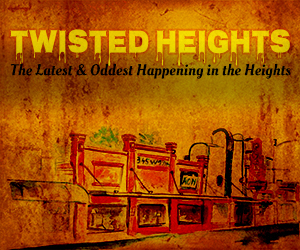 Note: I emphasize Houston Heights homes because Houston Heights is a neighborhood that’s about a century old. Any homes from such an old neighborhood can only be compared to others with the same amount of upgrades/remodeling. You can’t compare your house that was last updated in the 1950’s to one recently redone with granite, stainless appliances, etc. First: Compare Your Home To Similarly Updated Homes. A. The totally remodeled home with updated baths, kitchen with granite, stainless appliances, etc. B. The lightly remodeled home or one that was “updated” years ago. It needs some work again though. C. The original “Grandma” house. (I love these!) Practically untouched for decades. A perfect home to re-do and make your own. This might also be a tear-down if you are in a hot development area. Next: Do These 8 Critical Steps. 2. Use “Sold” properties from last 3-6 months (Not asking price….SOLD prices!) June 2014 update. The market is so hot, use very recent comps...not 6 months old. 3. Compare to homes in same neighborhood (Sunset Heights is great, but it’s not Woodland Heights). Most neighborhoods will have plenty of comps, but some, like Lindale Park, Near Northside, etc. may have few (if any) similar homes. These are tougher….you must go back further for sales. 7. Roughly the same lot size. Not as critical in suburban lots where land costs aren’t too high. 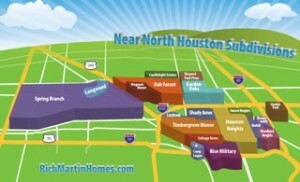 Critical in Houston Inner Loop neighborhoods like Houston Heights, Woodland Heights, etc., with very high land costs. Don’t compare your 3300 SF lot to one twice that size. • An in-ground pool or a garage apartment? Add for this. • An expanded garage? Add again. • Backs up to a commercial street? Oops – drop some from the price. • Near a desirable school? A plus! • Directly across the street from a High School? Maybe not so good. You get the idea. Simple, right? Forget your attachment to your house. Look at it as a buyer. You may not care that high school kids race down your street; or that a used car lot backs up to your house; or that your neighbor raises fighting roosters. Buyers will care though. Any house will sell, but it has to be priced right. How much to adjust prices? A sharp Realtor will know. Picking a Realtor becomes critical in pricing your Heights or inner loop house for sale. She or he MUST know the area in which they are pricing and selling! Houston Heights Realtors Must Be Sharp to Price These Homes Properly. A warning: If you do price your house for sale too high, it will just sit there forever. When you do eventually lower the price, you’ll still be hurting. It will be known as the “over-priced house” or people will think there is something wrong with it, otherwise it would have sold. This stigma is not something that’s easily overcome. But start by making sure all your comparable properties are in the same category. Be honest about how your upgrades compare with others. Your 1960’s avocado appliances don’t really compare with today’s stainless appliances, now do they? There are a lot more that goes into proper pricing, but this gives you an idea. A good realtor will show you supporting comps (comparable properties) to support their price. 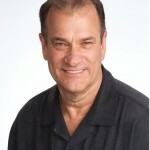 Also, see my tips on Selling Your Houston Heights Home. A note on pricing newer homes: If you are selling a 5 year old house in a neighborhood of similar homes, pricing is easy. Just compare similar size homes…anyone can do it; even the homeowner can do it! That’s it! Selling your starts by setting the correct price. Just follow the steps above, or talk to a Realtor. June 2014 Update: Even in today’s crazy seller’s market, pricing is critical. You may stretch the price a little now, but be careful. A house priced appropriately may receive bids over list price. If priced unrealistically, it may not receive offers at all. This is tricky…talk to your Realtor.